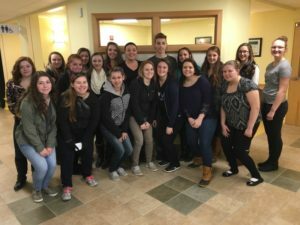 First year students from the Health Science Careers Certified Nursing Assistant (CNA) program and the Registered Medical Assistant (RMA) program are visiting Penobscot Valley Hospital this week. They are preparing for the upcoming job shadow component of their year at Region III. 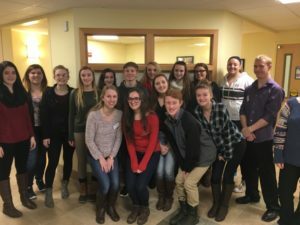 PVH and Region III are working together to provide opportunities for students to job shadow one of the many professionals who work there. 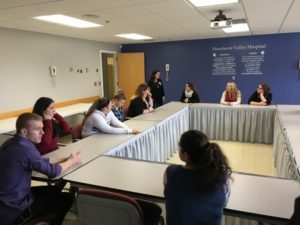 Job shadows help students decide on their career path. PVH employ CNAs in many departments. RMAs work in many of the specialty clinics in the Medical arts building. These opportunities are just a few of the many open to students who graduate from the Health Science Careers program.